The cordage of his hammock-nest. Rich as the orange of his throat. An emerald roof with sculptured eaves. Is but to love, and fly, and sing. Rocky: I can’t do it. Rocky: Yeah. I’ve been out there walking around, thinking. I mean who am I kidding, I ain’t even in the guy’s league. Adriane: What are you gonna do? Adriane: You worked so hard. Rocky: Yeah, it don’t matter, ’cause I was nobody before. Rocky: Now c’mon Adrian, it’s true. I was nobody. It don’t matter easy, you know? Cause I was thinking? It really don’t matter if I lose this fight. It really don’t matter if this guy opens my head either, ’cause all I wanna do is go the distance. Nobody’s ever gone the distance with Creed, and if I ever go that distance, just seeing that bell ring and I’m still standing, I am going to know for the first time in my life, y’see? that I ain’t just another bum from the neighborhood. Even after so long, “El Duelo” always amazes me. Every time. The lyrics always reach deep inside my soul to heal, to stir, to hurt… suavemente. This song is very appropriate right now. Julieta has a way of expressing important emotions in simple ways. Algo esta Cambiando. Ely Guerra proves to be even more emotionally powerful with only a guitar in hand. I still remember the first time I saw her perform live. The year was 2002 at the LAMC Acoustic showcase at “Joe’s Pub” in New York city. I walked in the packed room in the middle of her first song. Her voice entered my body through my heart and resonated in my soul so loud that it shook loose every bit of emotion amalgamated with time. The combination of her physique, her pink guitar and her ever-changing hairdo left an indelible imprint in my memory. 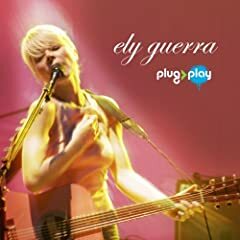 Her album “Plug & Play” is available in Amazon. The following is a youtube video of her performing “Peligro”. Amores Perros is the perfect romantic film. Though people find Amores Perros harsh and unrealistic, this film is the best “Love Guide” in film. More specifically, the film is the perfect “Don’t-Do Love Guide”. Josh Kun wrote an illuminating essay few years back titled “Love in the Time of Betrayal” in which he explained how each character fullfiilled the central theme of the movie. Betrayal. And he is correct in his interpretation of the movie. However, like the tragedies of Shakespeare, Amores Perros demonstrates how terrible love can go. Each viewer should identify with a situation or an emotion in this film. The wisdom of this movie rests on the corrsosive actions of betrayal to the ones we love.